Instantly see invisible threats from microscopic PM2.5 particles in the air. Understand where dangers originate, and take control. PM2.5 are tiny and dangerous. The microscopic size of these pollutants allows them to penetrate your lung tissue and move directly into your bloodstream. From there, these deadly particles can easily move to every organ in your body, including your brain. The AirVisual Pro’s cutting-edge technology empowers you to conveniently monitor your air anywhere, anytime. Be in charge of the air you breathe. 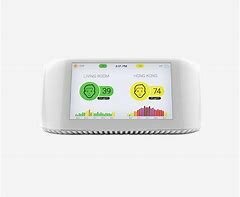 Compare your Indoor Air Quality with your outdoor air. Discover your local air pollution sources. 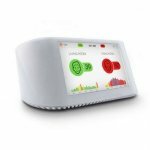 Your AirVisual Pro allows you to see your Indoor Air Quality alongside the nearest official monitoring station. Use this information to help pinpoint where air pollution sources are. Get the data you need to make informed decisions to protect your health.